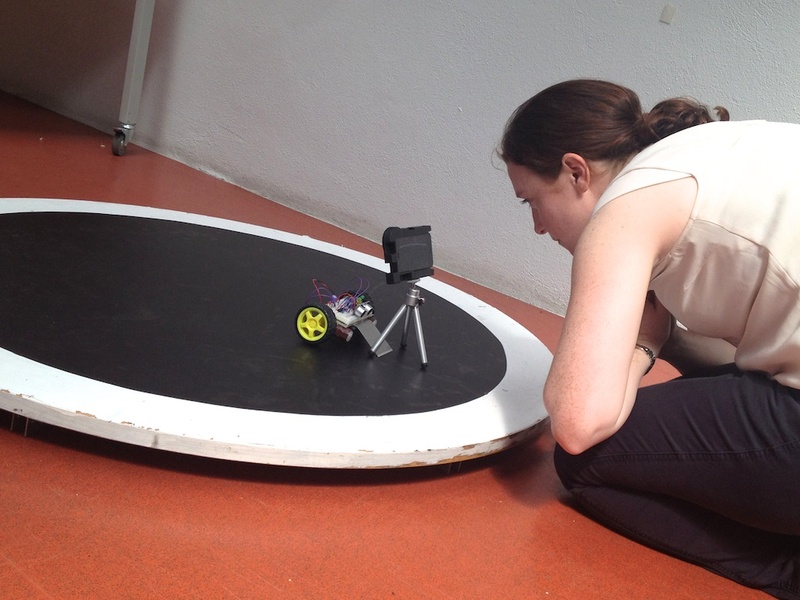 Testing robots during the RTE shoot. 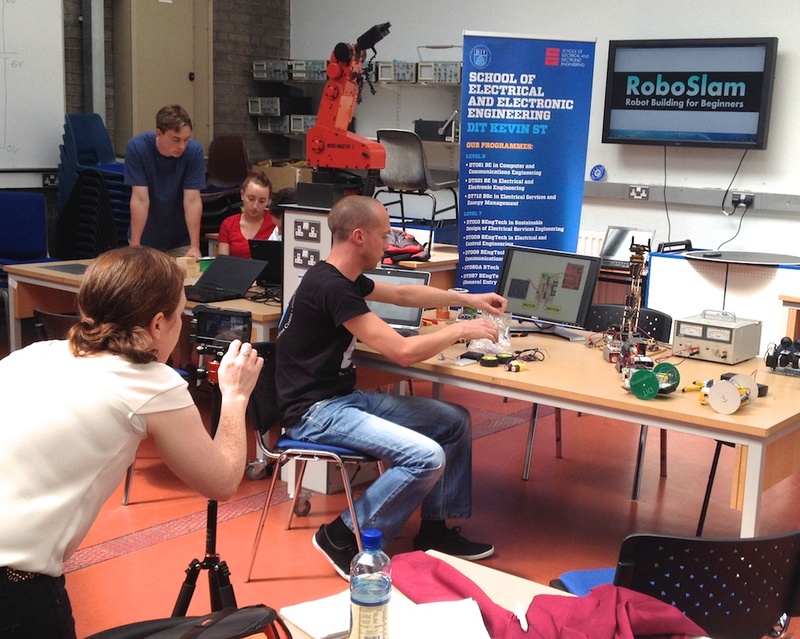 Yesterday, RTE aired a piece on RoboSlam that features Ted Burke (I previously blogged about the filming). The piece describes preparations for the Dublin Make event, to be held Saturday, July 26 on the grounds of Trinity College. The news segment is available to view for seven days. and then drag the slider to 23:12. Getting to it takes a bit of effort since the internet version sometimes opens with commercials, but it’s a very cool and fun news pieces. Great news work by Sinead Morris! 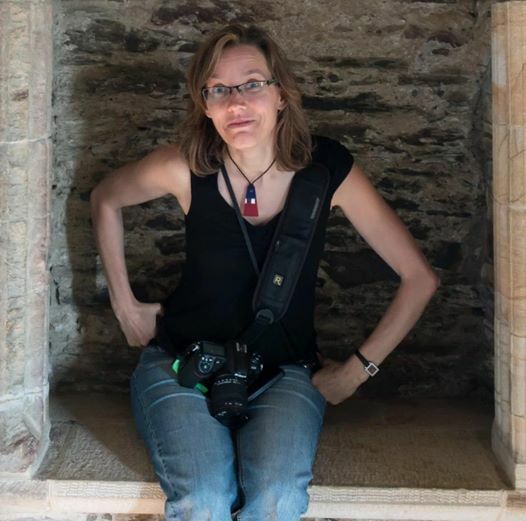 I’ve also found announcements about the Marie Curie fellowship in DIT’s spring Research News magazine (see pages 34-35) and on The College of William and Mary’s School of Education Alumni News webpage. 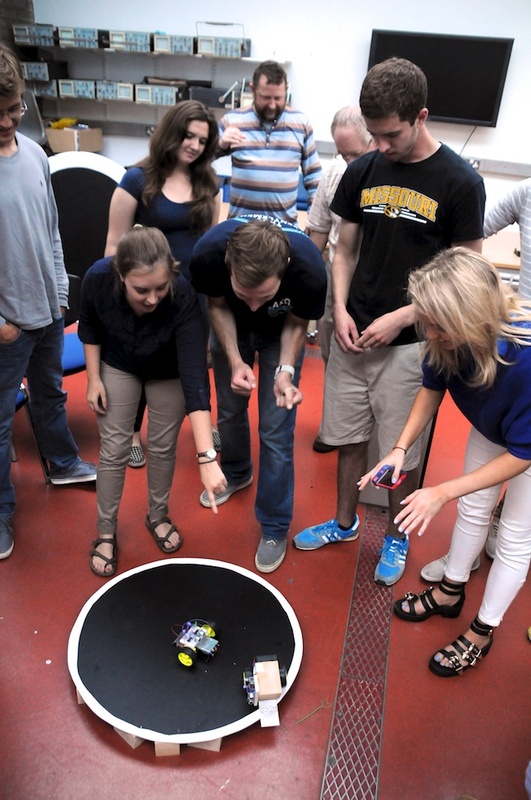 University of Missouri students and their dueling robots. 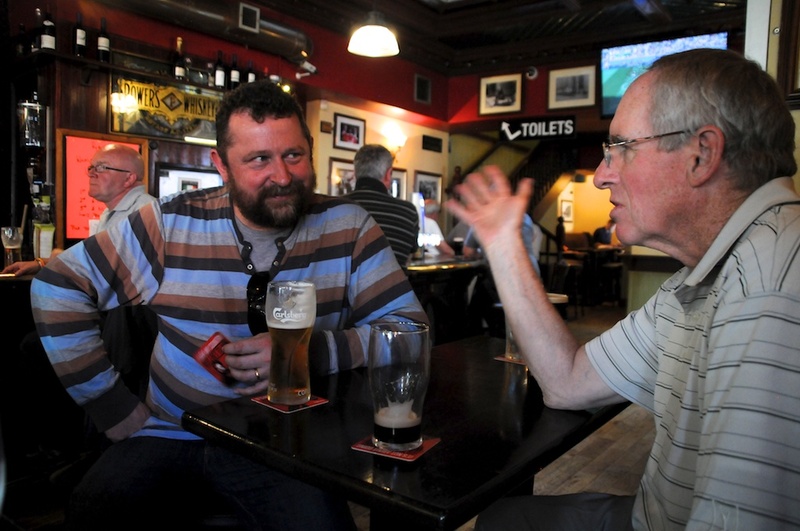 For the past three summers, Dr. Robert O’Connell has conducted study abroad programs here in Dublin. His programs engage engineering students from the University of Missouri. A fight to the finish. 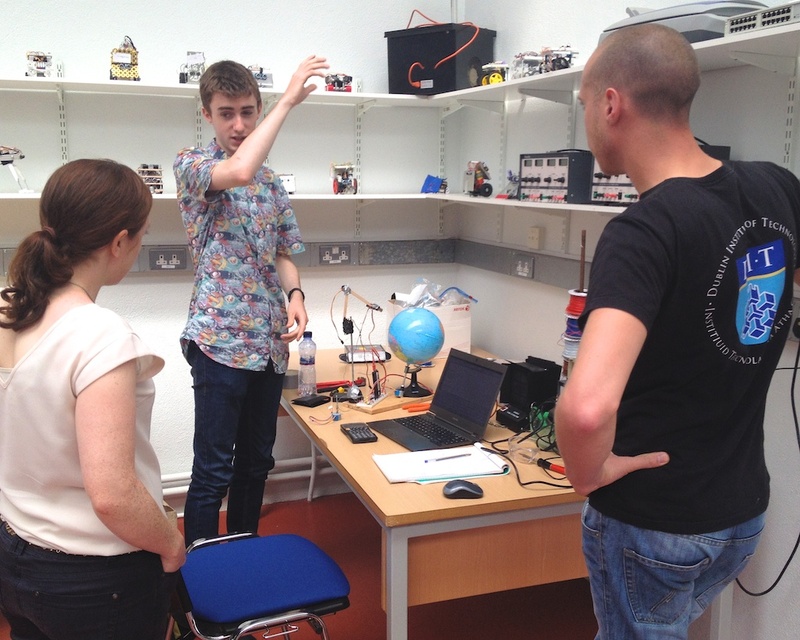 This year, when Bob asked Dublin Institute of Technology lecturer Gavin Duffy to tour the students around the engineering facilities at DIT, Gavin leapt at the chance to apply Problem-Based Learning (PBL) techniques. Gavin rallied his colleagues, and our RoboSlam team provided the Missouri students with a three-hour workshop on robot construction. Since we had limited time to deliver what normally takes a day, Drs. Ted Burke and Damon Berry had pre-programmed the micro-controllers for the students. As a result, the students were able to focus on assembling the components and then streamlining their robots bodies for improved performance. We culminated the event with a heavy weight Sumo competition. Drs. Damon Berry and Bob O’Connell chatting after the RoboSlam event. In this event, the robots compete in a circular “sumo ring” in pairs. 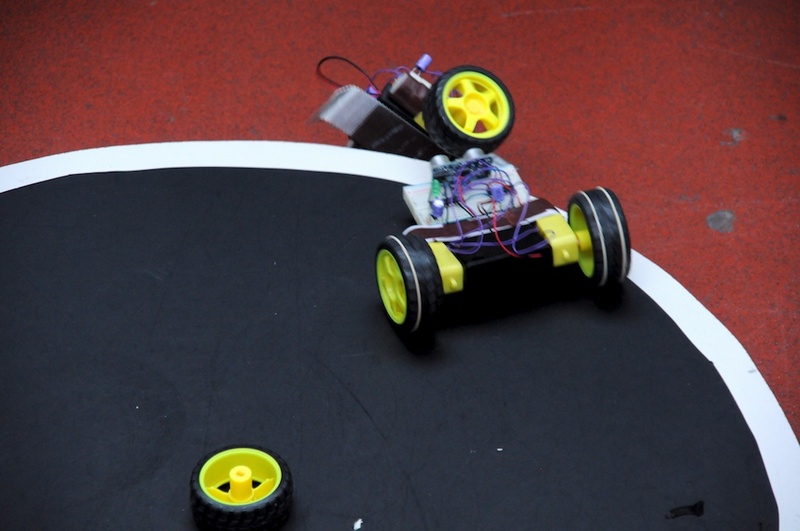 Each robot attempts to locate its opponent and push the other robot out of the sumo ring. After the paired competition, for additional fun, we placed all the robots in the ring at once, and cheered them on as they valiantly defended their positions in the ring. In the end, only one robot remained. Several of the lecturers in DIT’s Electrical Engineering program hold deep affinity for the coordinator of Missouri’s study abroad program, Dr. Bob O’Connell. Bob was one of DIT’s first Fulbright scholars in Engineering Education (the post I later held). While he was here as a Fulbright, Bob completed DIT’s Post-Graduate Certificate in Learning and Teaching. He also helped teach courses and he was part of the faculty learning group that discussed ways to implement hands-on learning in the Electrical Engineering curriculum. 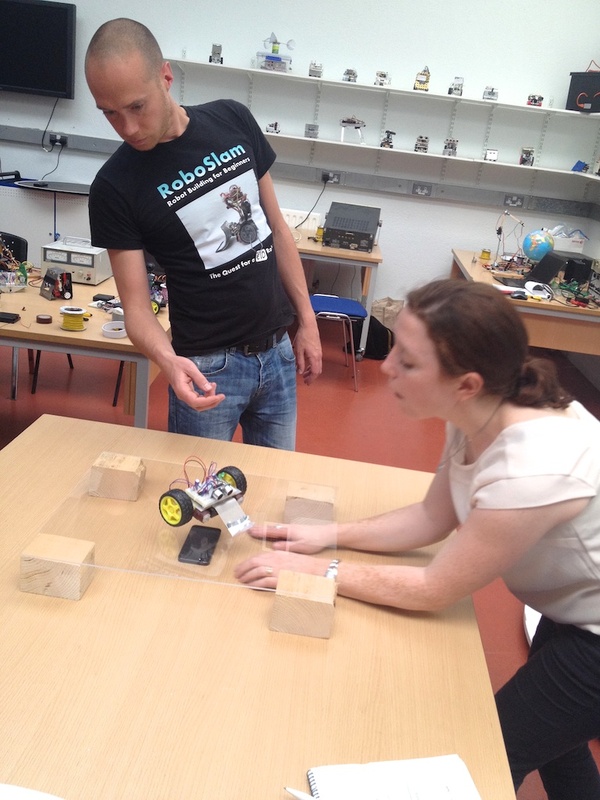 Upon returning home to the Electrical and Computer Engineering Department at the University of Missouri, Bob implemented a number of the Problem-Based Learning techniques he discovered in Dublin. I had the pleasure of interviewing Bob last year, to learn about his experiences with the faculty learning group. 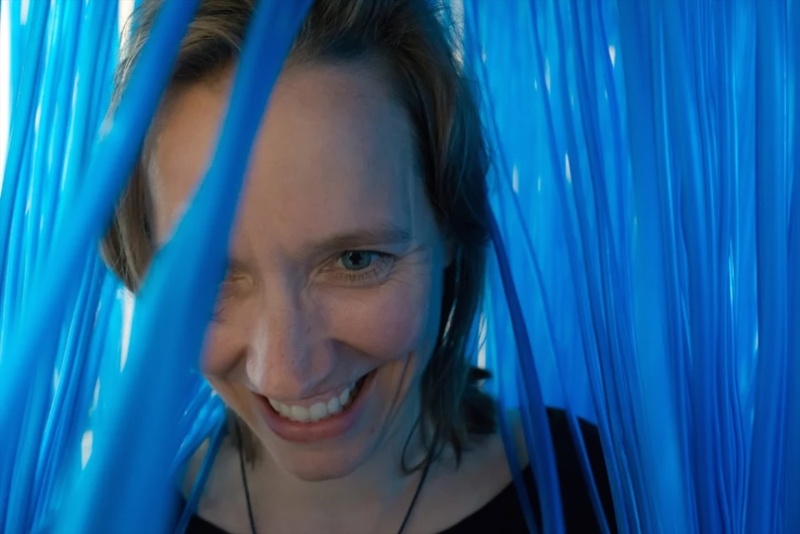 The fact that so many of DIT’s former Engineering Education Fulbrighters return for ongoing projects provides testimony to the learning community and sense of belonging these Irish scholars have created. DIT is a very special place, indeed! Gavin assisting University of Missouri students. Damon Berry describing a robot-building technique. DIT Lecturers Ted Burke, Richard Hayes, and Damon Berry.